PokémonGo has been an exciting addition to our lives. Seriously, if you’re a fan of Pokémon, isn’t it a great time to be alive? I’ve noticed that people young and old have had somewhat polarizing opinions of the game, and after reading and internalizing it all, I have a few thoughts of my own—just a slew of my opinions so take them for what you will. Isn’t this game fun? I started playing Pokémon Yellow in elementary school and played up to Pokémon Ruby or so (it’s hard to remember). It’s fun to relearn all the names and reminisce about my favorite Pokémon. I’ve logged in over 22km of walking and I’m not even the most intense player I know. It’s great to walk around outside and get some fresh air. Some of you might be worried about how reckless players can be. It’s annoying that anyone (playing the game or not) are trespassing on private property, making reckless driving decisions, or aren’t looking before they cross. But please know that only a minority of players are like that. It’s possible to walk and play without being a nuisance, and many of us are working on that. If you think the game is childish, you’re totally allowed to think so. You can be bitterly ironic about how you’re the only one not playing the game, too. But for many of us, it’s a guilty pleasure that makes walking and exploring our cities enjoyable. Yeah, we know that we’re just collecting animations of imaginary characters, but it doesn’t matter if you think that’s a waste of time, and telling us what you think won’t change our minds. Watching other people play a sport on TV wearing a signed jersey could be considered a waste of time from another perspective, too. Let everyone enjoy their own hobbies; college-aged adults are the target audience for this game, so we shouldn’t feel immature for loving the game. The team rivalry is getting out of hand. I’m Team Valor and Travis is Team Mystic, but we still enjoy playing together and helping each other find Pokémon we know the other person wants. The whole “claiming gyms” thing should be another way to enjoy the game, not wreck it. It’s not the end of the world if a Pokéstop is near a church building or other revered locations. Players often don’t have to enter or get very close to certain properties to catch anything or earn items. No companies or property owners currently pay for their location to be on the GPS map, and from what I see, it draws our attention to beautiful and meaningful parts of our cities. You don’t have to be a “true fan” to participate. Those who put down younger players or “newbies,” or tell them to get off the server don’t have that right. It’s never too late to appreciate the game, and everyone has the right to enjoy what we’ve enjoyed for many years. No should exclude others from this free game. Players, be safe. People are already taking advantage of the game, so be aware of where you wander in the city, travel in groups, be courteous to property owners, and watch the time. People are bitterly aware that this game gets people stuck in their phones, and some find that shallow. Sure, but we already were stuck in our phones, and now people are just doing it while walking. Being dependent on or enjoying technology is a normal thing now, whether it seems ridiculous or not. Saying things like, “this is the Fitbit for nerds” isn’t really nice. Nerds aren’t all introverts who stay inside all the time. We may poke fun at ourselves for enjoying indoor activities, but just because we like something “nerdy” doesn’t mean we aren’t sociable, fit, or properly integrated into society. We’re literally everywhere; get used to it. PokémonGO’s timing is, yes, a bit weird. There’s a lot of turmoil going on in the world and it seems like a lot of us are more worried about catching a Vulpix than thinking about how racism and sexism is polarizing people. Please don’t assume that we’re reckless and wasting our time playing this game. We all deserve to have fun, enjoy what life brings, and take a break from the sadness. I know I have a lot of friends that don’t get Pokémon or why this game is so popular. I get it! We can still be friends and have different interests. You shouldn’t have to feel “left out” just because you choose not to play. If you see me in a group of people hanging out to catch Pokémon, don’t yell at us about it from your car; we already know what we’re up to. Who’s looking foolish now? Phew. I think I’ve said enough. 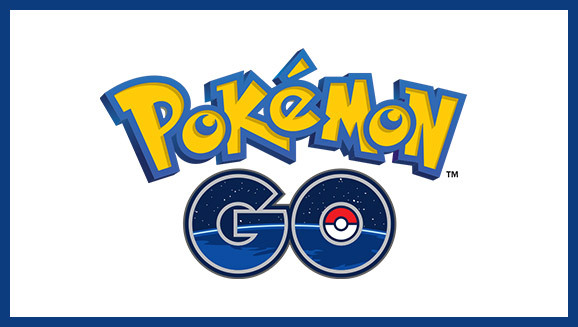 What do you think about PokémonGO? Love it? Hate it? Tell me what you think below. Plus, I DO want to hear about your best Pokémon or your favorites you hope to catch. Bonus points for clever nicknames!